MIT scientists have determined the structure of an enzyme that is found in ocean microbes and can produce a precursor to methane. Drennan and Wilfred van der Donk, a professor of chemistry at the University of Illinois at Urbana-Champaign, are the senior authors of the paper, which appears in the December 7 online edition of Science. Lead authors are David Born, a graduate student at MIT and Harvard University, and Emily Ulrich, a graduate student at the University of Illinois at Urbana-Champaign. The research was funded by the National Institutes of Health and the Howard Hughes Medical Institute. 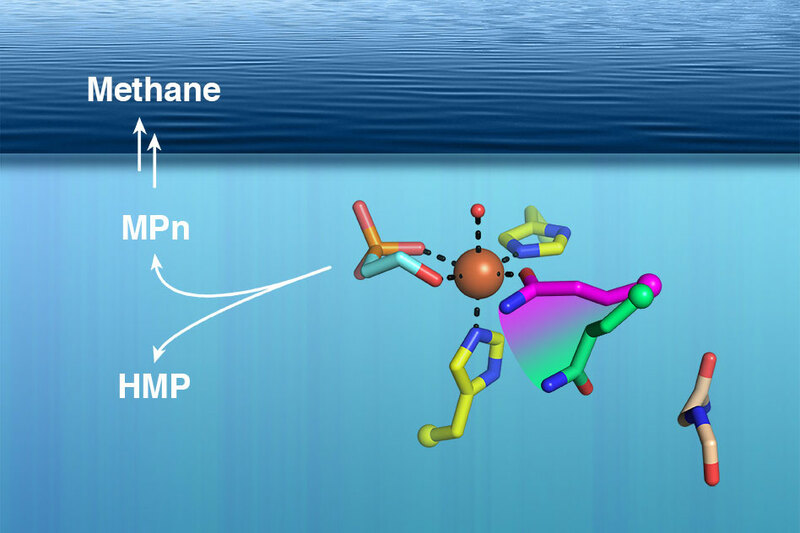 Be the first to comment on "New Discovery May Solve “Ocean Methane Paradox”"